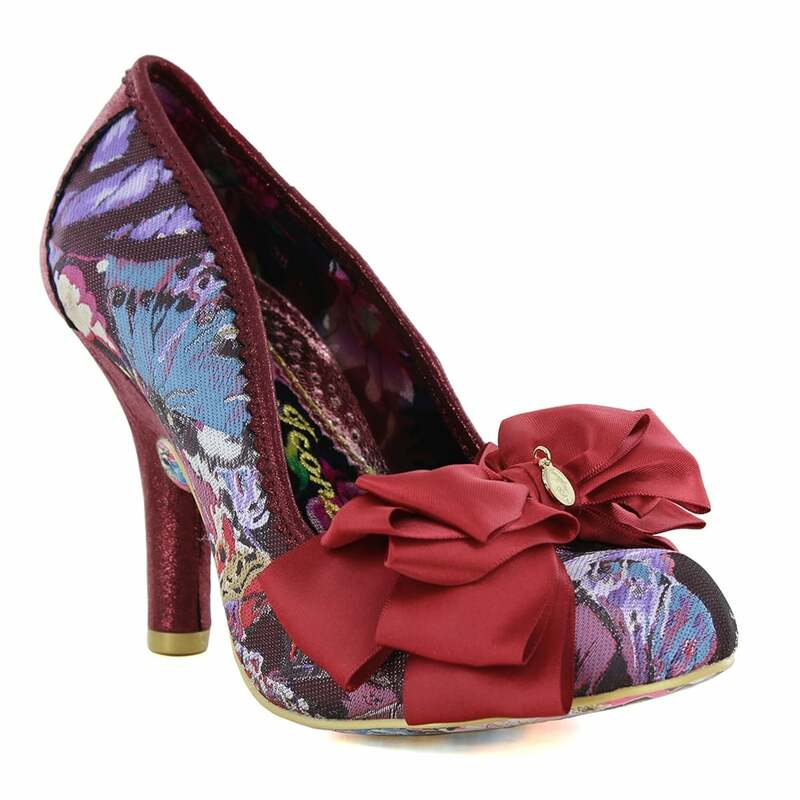 Beautiful new court shoes from Irregular Choice! The Ascot court shoe by Irregular Choice is something quite unique, complete with glittery heels and floral embroidered fabric uppers. Inside, this beautiful court shoe is lined in a floral fabric with the Irregular Choice branding embroidered in gold and rainbow material around the edges of the inside. Completing the Ascot womens court shoe is a show-stopper 9cm glitter heel and satin bow trims. With their great attention to detail, Irregular Choice have even thought about the sole and covered it in a multicoloured floral print, complete with hearts and insects.